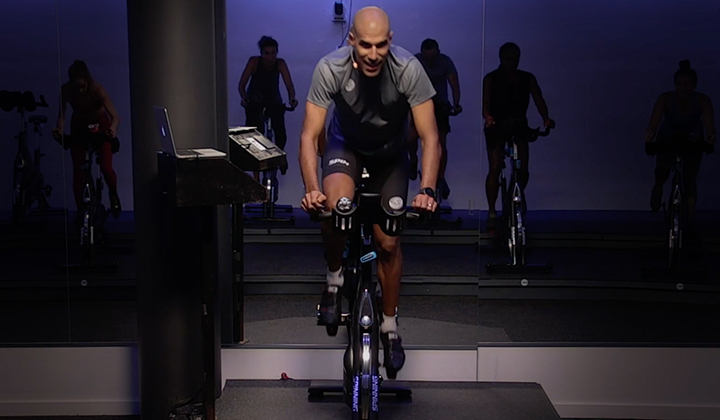 The Healthcenter where I was working started with Indoorcycling classes. 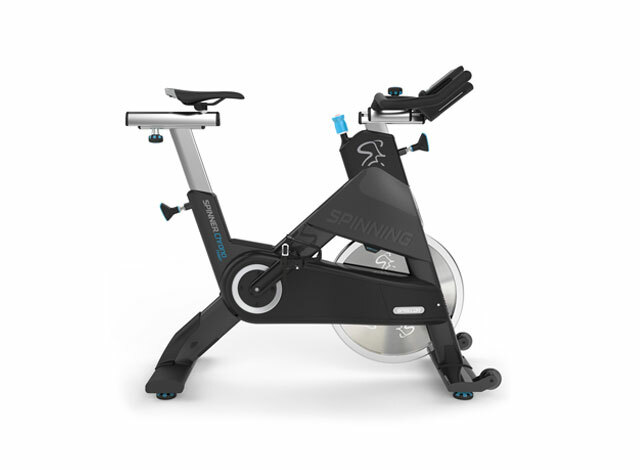 I got hooked immediately and searched for the real deal and got known with Spinning®. From that day on, Spinning it is! Soon after I became a Certified Spinning Instructor, I met some Master Instructors and went to the WSSC Conference in Miami (2003). There I met Johnny G and set my goal to become a Master Instructor. The enthusiasm of all the people is the most rewarding feedback ever! Set goals and achieving them. Leftfield – "Release the Pressure," reminds me of my first period of the Spinning era. Faithless – "Insomnia," the ultimate Spinning song. I’ve seen them perform live for several times. Awesome! John Horner – "Braveheart themesong," goosebumbs everywhere! 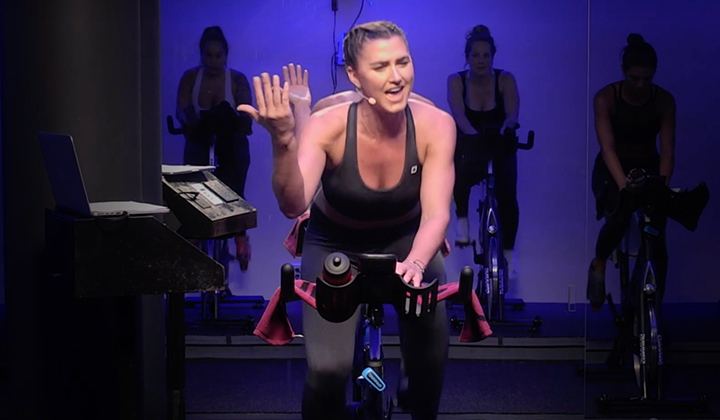 The strength of Spinning is that everybody can do this workout: professional athletes and people with disabilities, all in the same class! 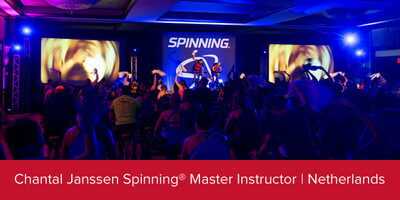 Share a memory from your experience as a teacher/coach/presenter that embodies the value of being a Certified Spinning® Instructor or Spinning® Master Instructor. During big events such as Spinning Experience, I was honored to present several times. The atmosphere during such events is amazing. The energy level of 550 participants riding together is unbelievable. At one point during one of these rides all music stopped but we needed nothing more than the humming sound of 550 Spinner® bikes and the effort of the riders to complete 15 minutes in silence. If you want to become a part of a global family and you want to learn about yourself and others, than don’t hesitate and apply! Success isn’t final, failure isn’t fatal, it’s the courage to continue that counts. MI Hans Hobbel who watched over me when I just started the Spinning program and still does even after being a MI since 2007. Is there anything about you that would surprise people? You should party with me! And please feed me!Master Instructor team member since 2007, Chantal Janssen is well known for her energetic way of riding and enthusiasm during her clinics and lectures. She is also an expert for chronic organ failure in her full time profession. 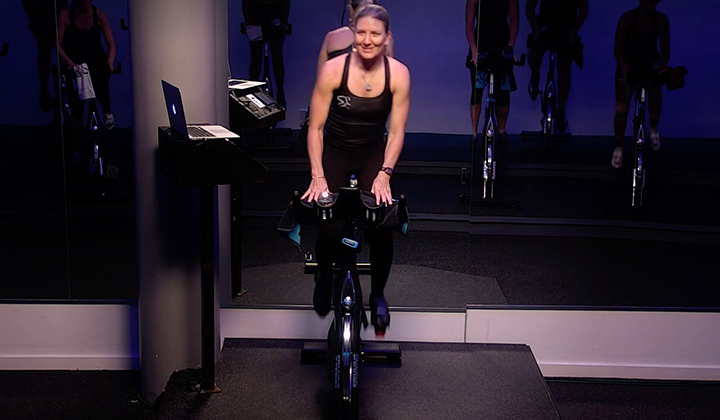 Her passion for sports go way back: professional handball athlete and specialized sports education.Chantal is involved with the Spinning Experience in the Netherlands since 2002 and has done a great amount of rides ever since.